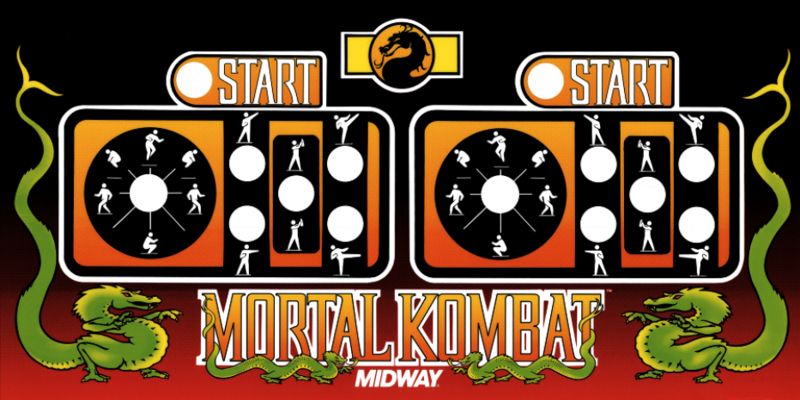 When Mortal Kombat was first released in the arcades back in 1992, it was originally installed on Midway’s Y-Unit hardware. Some other games using the same hardware were Total Carnage, Terminator 2: The Arcade Game and Smash TV. 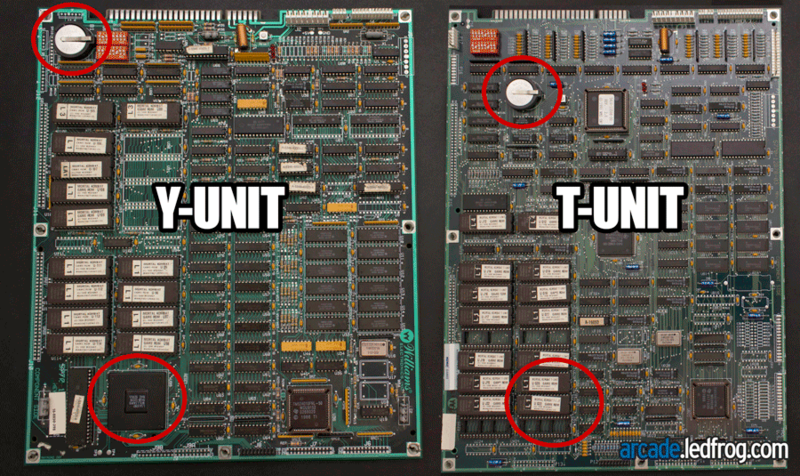 This hardware was the predecessor to the follow up T-Unit board. In regards to Mortal Kombat, the first four revisions were released on Y-Unit boards, but coin-ops that wished to upgrade their games to the latest 5.0 revision had to upgrade to the new T-Unit boards as well. 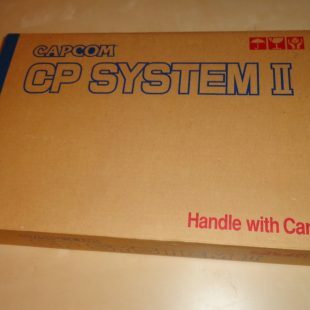 It’s widely known that the newer T-Unit boards were more reliable and can sometimes be a preference for collectors looking for original Mortal Kombat games. However, as mentioned already, if you plan to play earlier revisions of the game, you will need the Y-Unit hardware. One way to find out which version you have is to simply turn on the game. When it powers up, you will see Y-Unit or T-Unit on the bootup screen or you can enter the test menu and view the hardware info to find it among other pieces of data such as the game’s serial number. But if you only have the opportunity to look at the boards themselves, here are a Y-Unit and T-Unit board side by side for comparison. As you may know, Mortal Kombat II is also on T-Unit hardware, so if you’re familiar with what MKII looks like, then you already have a grasp on this. As you can see, there is quite a difference between the chip layout on each board, but the two very noticeable changes are the location of the CMOS battery and the lack of the large ASIC chip on the T-Unit. One thing you can’t really tell from the photos is that the T-Unit board is a larger board lengthwise. Other than the difference in revision software that each board is limited to, the only functional difference between these two boards is the power cable that connects the sound board to main board. The T-Unit board adds one extra ground connection and for some reason switches the positive and negative speaker connections. You can safely use a Y-Unit power cable with a T-Unit board and vice versa, but you’ll have a 1 pin difference on the Molex® connector; either 1 pin hanging off or 1 pin not covered. As long as you match the power pins the right way on the board, you’re good to go. From time to time, I have either one of these power cables available via my eBay listings so rather than using the wrong cable, you can pick yourself up the correct one and not have to worry about getting the connection right.